As part of the larger Spring Exhibitions Opening, Marinella Senatore’s public performance Protest Forms: Memory and Celebration: Part II, kicks off at 4pm inside the Museum and flows outside in Flushing Meadows Corona Park. This performance involves more than 300 participants from many different creative worlds. From spoken word artists to an Afro-Colombian bullerengue group to a LGBTQ symphonic band to a chorus made up of union members to representatives from important activist groups, Protest Forms is dedicated to the past and present civic struggles of New York City communities. Queens Anthem, an original music score composed by Emiliano Branda, is based on an open call to Queens residents to submit sonic memories of their borough and the protest songs related to their communities. What happens when protests become form? Does a protest become clearer or stronger through a gesture, a song, a chant in unison? Can the memory of past demonstrations nourish the struggles to come, and help organize new ways of reclaiming the common good for the future, through the celebration by recent and past generations of past achievements? And finally, what is possible when different constituencies of protesting bodies join forces to express dissent and show alternatives to the given scenario? Can “The Possible” become a richer, more meaningful and inclusive category to inhabit after the act of protest, in opposition to the empty option of “The Future” and related never-fulfilled promises? The performance Protest Forms: Memory and Celebration Part II shares all these questions with participants that have replied to Italian artist Marinella Senatore’s call. This public artwork in the form of a durational performance will take place at the Queens Museum on April 9, from 4 to 5:30pm, as part of Piazza Universale / Social Stages, Senatore’s first solo show initiated by an American museum. Curated by Matteo Lucchetti, the exhibition opens on the same day. In this performance, the artist articulates her long-term interest in the role that movement, music, and the crowd play in the creation of temporary communities united in demonstrating resistance. Inspired by examples such as the “second line” parade in New Orleans, the acts of nonviolent civil disobedience such as the “die in” used by ACT-UP or Black Lives Matter, but also the simple act of marching and rallying in public space, the work also hopes to bind together cultural resistance of historical groups such as participants in the Stonewall Riots in June 1969, the Young Lords, or the Black Panthers. Senatore explores legacies of protest in the United States and collective memories in New York, while also engaging with joyful and ceremonial choreographies of celebration, affiliation, empowerment, and belonging. For instance, the work celebrates the intergenerational communities around The Bread and Puppet Theatre or Martha Graham’s School, together with other formations like a brass band, doubledutch jump rope group, or a Youth Wrestlers program. The incredible variety of cultures that make Queens the most diverse neighborhood in the world is represented by a neo-folkloric dance ensemble, an Afro-Brazilian samba reggae percussion band, and the sounds and movements of Afro-Colombian bullerengue, capoeira, and indigenous Aztec groups. 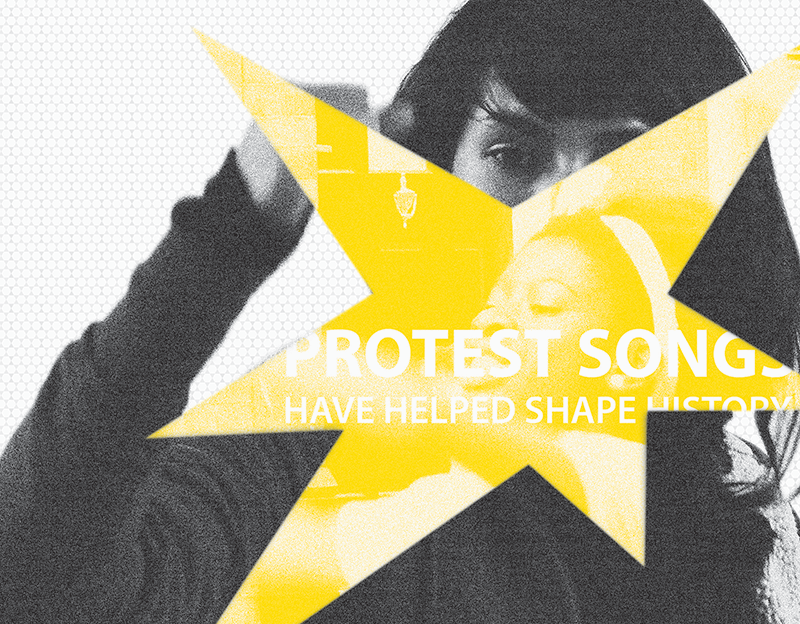 The chants, songs, interventions, and dances that have accompanied protest over the years represent a political and cultural heritage that is important to preserve, revive, and mobilize in our current moment, remembering the sense of individual and collective empowerment that comes with it. By inviting a wide cross-section of participants engaged with movement, music, and protest, Protest Forms spontaneously transforms a public stage into an intersectional social platform that shows the political aesthetics of bodies and sound-in-motion. The performance becomes a contemporary civic ritual that is as much a place of memory as it is a space for empowerment.